You are always welcome on Audiko.net! 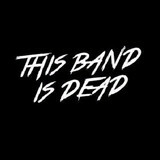 We offer you to download a free This Band Is Dead ringtones for your iPhone or mobile. Elect your favorite episodes from your favorite tune - Narcissistic Cannibal (Korn feat. Skrillex & Kill The Noise , Star Wars: The Force Awakens Theme, Don't Let Me Down, or any other track. It’s possible to have your tune both in the MP3 and m4a formats, played by both mobile phones and iPhones. Just select a track, and choose free This Band Is Dead ringtones download option.